Inclusive Summer Programs at Adagio! Adagio is excited to offer weekly inclusive music groups that will run throughout July and August 2018! The focus will be on each group member's participation in music-based interventions to facilitate socialization, communication, exercise/movement, speech, and emotional well-being. All groups will be led by a board-certified music therapist and will follow a model of evidence-based practice. Facility is handicap accessible. No prior musical experience is necessary! For more information, check out the group information below and contact us at adagiomusictherapy@therapysecure.com or 704-579-8531. Diagnoses: Children with a wide variety of special needs are welcome. Diagnoses may include autism spectrum disorder, cerebral palsy, developmental delay, Down syndrome, sensory processing disorder, and more. Emphasis on promoting developmental and academic milestones through playful and fun music-based interventions. ​Diagnoses: Teens and young adults with a wide variety of special needs are welcome. Diagnoses may include autism spectrum disorder, cerebral palsy, developmental delay, intellectual disability, Down syndrome, sensory processing disorder, traumatic brain injury, and more. Emphasis on musical interventions to promote social connections, movement, communication, and stress management. Diagnoses: Adults and older adults with a wide variety of neurological needs are welcome. Diagnoses may include Parkinson's Disease, Huntington's Disease, Alzheimer's, stroke, traumatic brain injury, and more. 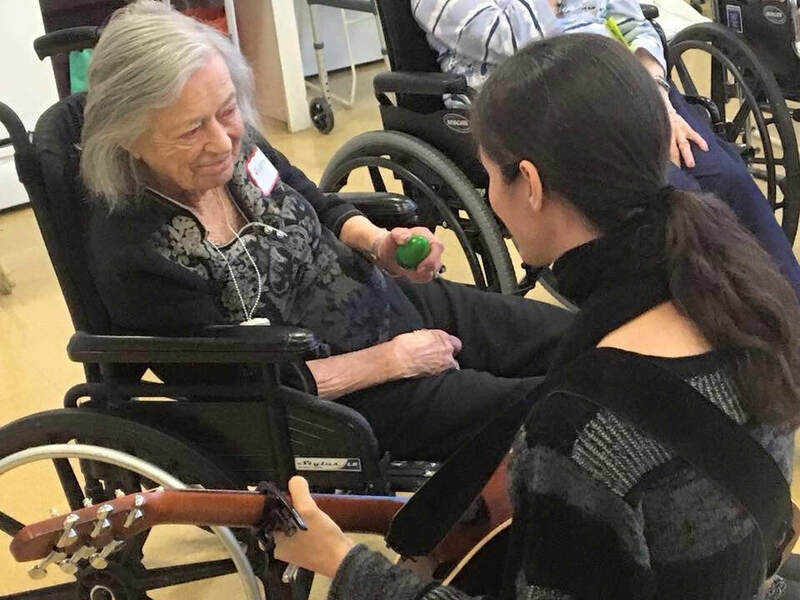 Focus is on neurologic music therapy techniques to promote movement, communication, speech, socialization, social support, and emotional expression. Mature emotional topics may be addressed as needed in this group. Sample Interventions: Active Music Making (instrument play), Music-Listening, Music Based Relaxation, Therapeutic Singing, Movement to Music, and so much MORE! Contact adagiomusictherapy@therapysecure.com or 704-579-8531 for more information and to register for summer groups.